HP’s released a little gem. 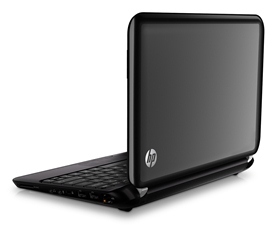 The HP Mini 1104 has 9 hours of battery life and it’s only 2.78lbs. With an almost full sized keyboard is an idea travel companion for any highly mobile professional. On one hand, computers are a dime a dozen with many being quite similar. On the other hand, and being one who has used MANY notebooks and has many notebooks (Dell Vostro, Google Chrome book, HP netbook, Acer) they do have differences. The main difference you’ll notice are things like keyboard size and key placement. Sounds like a small thing, but size does matter. The bigger the better. HP’s latest companion PC sports super-small, low-power Intel® Atom™ dual-core processors to keep the Mini cool, use less power and improve battery life – all the way up to 9 hours of runtime with the 6-cell battery option. That’s enough juice to get through the whole business day without being chained to an electrical outlet! With Wi-Fi CERTIFIED™ WLAN and HP Mobile Broadband to conveniently stay connected anywhere, it’s that much more important that the Mini 1104’s TPM Embedded Security Chip and Computrace Pro keep data safe on-the-road and in the office. Facebook just filed an S1 with the SEC announcing its intention to sell shares to the public. The filing contains all sorts of long held secrets about the company. We’re going through it now, and updating this post with anything remarkable we learn. QUICK TAKE: Facebook’s ad business is not growing as fast as you’d like, but rates are going up, even as inventory soars, and that’s reassuring. The payments business – the way Facebook makes money off FarmVille, etc – grew 500% in the past year, too. Holy cow: Zuckerberg is rich. If a picture is worth a thousand words, than an infographic is practically it’s own book! Marketers and brands alike have been turning to infographics pretty heavily over the past 18 months to help them turn their data into a compelling story that they can use to inform and sway consumers. And who can blame them? Sometimes seeing it can help drive home a point far faster than simply writing about it. I thought today we’d change things up a bit and instead of using words and paragraphs to comment on the state of small businesses, we’d take a look at some popular local search infographics and see what insights they have for us. Below are a handful of my favorite infographics for small business owners to check out. They share a lot of great data, takeaways, and visualize the data we sometimes have a difficult time trying to wrap our head around. Google is serious about small business apps. Last year, the company renamed its Google Apps Premier office product suite Google Apps for Business. The Mountain View, Calif.-based search and software giant also launched a series of tweaks intended to create an all-in-one office software product businesses would actually pay for. Google is betting that companies will want to switch from its free service by offering features such as increased control and security over email, more storage space for company content and live customer support. The new paid version has significant features that can be ideal for businesses that pay careful attention to security, compliance and data storage. We’ve tested Google Apps for Business and came up with the following guide for migrating to this new paid service. 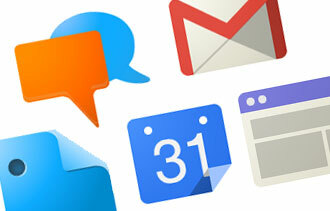 The differences between Google Apps and Google Apps for Business. Google Apps for Business includes many of the same features as the basic Google Apps, including heavily-used tools such as email, calendar and documents. Just ahead of Nokia’s big press conference at the Consumer Electronics Show this afternoon, the company’s biggest surprise has already leaked: the Lumia 900. PocketNow got its hands on some press shots of the device, which sports a 4.3 inch screen and runs on AT&T’s 4G LTE network. It’s bigger than its cousin the Lumia 800, which gives it room to pack in a front-facing camera as well. The Lumia 800 launched in Europe, but seems like it’s never going to land on U.S. shores now that the Lumia 900 is in town. 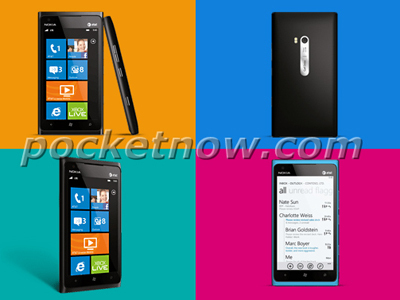 All you really need to know about the Lumia 900: it’s the first Windows Phone you’re really going to be drooling over. We love the Lumia 800’s industrial design, as well as how well it embodies the heart of the Windows Phone operating system. The 900 will definitely get a massive advertising campaign (something like $200 million is behind it), and will be America’s first taste of the new Nokia. This also means it’s Nokia and Microsoft’s best hope of doing any damage against Google and Apple. Google’s Chrome security team unveiled yesterday its guiding principles on how they build a safer browser. The manifesto declares seven key guidelines for Chrome security. The first one, “Don’t get in the way,” both echoes Google’s unofficial motto, “Don’t be evil,” and reflects what many Windows security vendors have learned the hard way about keeping people safe. If security negatively affects performance, users will look to alternatives. For a browser which has built its user base on speed, sluggish response times have the potential to wreak great havoc. A Google representative said that the Chrome security team works in close conjunction with Google’s overall security team, as well as the Chrome team itself. “We protect users by embedding security deeply into our culture, as well as our process for designing and developing products. This relentless focus on security often benefits the web more broadly as well, either through our own action or through others who adopt similar approaches,” the representative said. The need for speed has found its way into Chrome security, and the representative pointed to regular release note updates as evidence of this. “We’ve demonstrated that we will shine a light on security topics that are relevant to our users, even when most companies wouldn’t,” he said, with tough benchmarks set for response time and how long systems are left unpatched. Of course, Google is hardly the only company to take this approach. Mozilla also regularly publishes security update release notes, and Microsoft has become so regular at publishing security updates to Internet Explorer and its other software that Patch Tuesday has become lingua franca in the computer security world. Microsoft recently touted a decade of security achievements, and it’s practically universally accepted that the company learned some tough lessons in the past 10 years. Not surprisingly, Microsoft’s current policies of a company-wide approach to security echo Google’s similar stance with Chrome. Chrome’s third core principle states that security is a “team responsibility,” which was explained to me as meaning that browser security concerns go beyond the realm of just the Chrome security team to include Google’s general security group and the general Chrome group. While this may sound obvious to some, cross-department communication has had an impact on the browser’s development, said the Google representative. “Engaging the security community makes Google part of the security community. More technology companies should take this approach. They have set up a cooperative and non-adversarial posture. Microsoft pioneered this approach, but Google has taken it a step further with their bug bounties,” said Wysopal. Google has said that the quality of the bug reports has helped it fix vulnerabilities much faster. The company has paid out more than $200,000 for Chrome and Chromium-related security bugs found by bug hunters. The open-source progenitor of Chrome, Chromium was around for a year before Google debuted Chrome. While likely familiar to many who keep tabs on browser security, the principles document stands as a place where Google can point to its achievements in the field as well as its goals. Some of the Chrome features referenced in the document include the mention of anti-exploit technologies such as JIT hardening along with Google-sourced innovations like the Safe Browsing API. The “Make the Web safer for everyone” section notes numerous public security standards like public key pinning, SPDY, and Native Client. Grossman concluded that despite some concerns about Chrome, that the project has been a boon for the Web. “I think they’re doing a lot more right than wrong when it comes to browser speed and security,” he said.